On July 16, 1939, Adler Berriman Seal – commonly referred to as “Barry” Seal – was born in a ‘typical American family’: his father sold candy, his mother was a housewife, and he had two brothers, Benjy and Wendell (Peet 2002). Since he was a teenaged Seal was intrigued by airplanes and ended up getting a pilot’s licence at the age of 16 in 1955: the same year he took part in a Civil Air Patrol’s summer camp where he met Lee Harvey Oswald and David Ferrie (which will be ‘two principal figures in the assassination of John F. Kennedy) (Peet 2002). Ferrie convinced Seal to collaborate with him in his shady business. In fact, as Seal’s friend recalls, ‘one Friday I got a call from Barry asking if I’d like to fly to Lacombe…we left at about 5:30AM’…before boarding the plane back to Baton Rouge, Ferrie instructed Seal to take with him fifty boxes’ (Peet 2002). On the flight back home, the ‘high-school senior’ Barry Seal revealed to Odom that those boxes contained a high number of weapons, and that Ferrie was paying him today’s value of $2,500 per week (Peet 2002). By 1957, the young man was earning ‘$2,000 per flight’ since he started transporting weapons also in Cuba in order to sustain Fidel Castro’s revolutionary plans (Peet 2002). Ferrie had introduced Seal onto a dark path, and ever since he started business with him, Seal became ‘secretive’ and avoided revealing too much (Peet 2002). David Ferrie himself was an interesting character that had shown eclectic interests and had had multilpe professions: he had been a priest, ‘a self-trained cancer researcher, an avid hypnotist and an enthusiastic support of right-wing agendas’ (Peet 2002). In 1972, in one of his attempt to carry weapons and explosives to the Cubans, Seal was stopped in Mexico: because of this, he was fired from the Trans World Airlines (TWA), where he had been working as a pilot since 1967 (Nicolaou 2017). When the explosives were discovered on Seal’s plane, it was discovered that a ‘U.S. federal agent’ had bought them, and therefore, ‘people’ started believing that ‘Seal was a CIA operative’ (Nicolaou 2017). 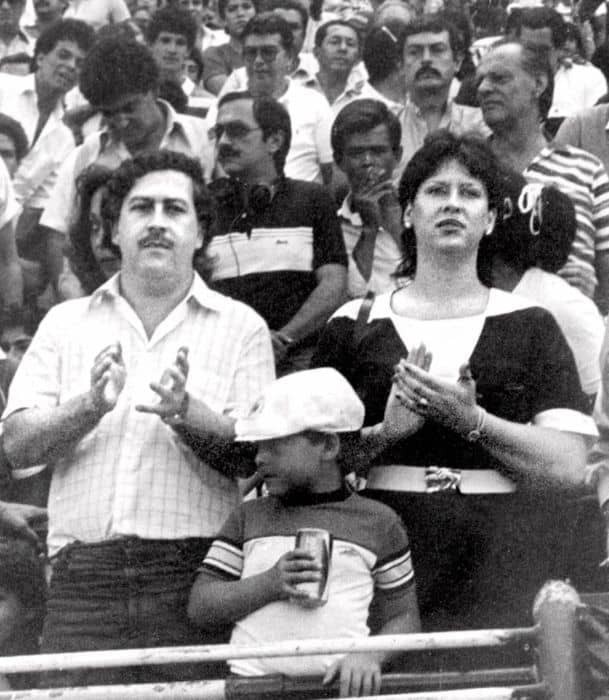 Deborah Seal – one of his wifes – claims that he started drug smuggling in 1975, and five years later he was involved in the Madellín Cartel (a Colombian drug cartel) that was led by the infamous Pablo Escobar (Loughrey 2017). His nickname became ‘El Gordo’ (Nicolaou 2017). 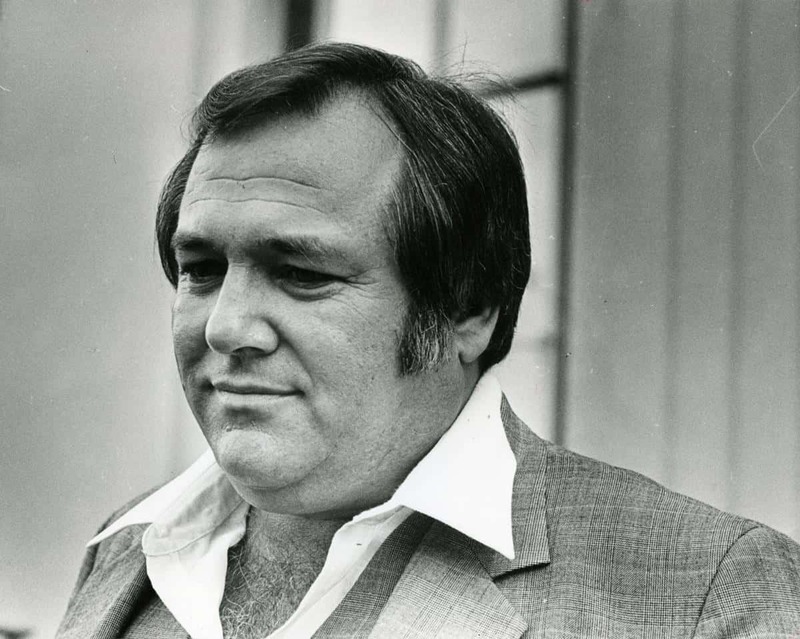 Barry Seal was arrested on December 10, 1979 for smuggling Colombian cocaine. However, once released, in 1882, ‘Seal moved his smuggling operation from Baton Rouge to Mena’ in Arkansas, where only 5,800 people lived (Peet 2002). Here, his health deteriorated: he was taking cocaine and his overall lifestyle led him to weigh 300 pounds, gaining a new nickname, “Thunder Thighs” (Peet 2002). Apparently, also other people in Mena knew about Seal’s profession, and a local former sheriff claimed in 1988: ‘I can arrest an old hillbilly out there with a pound of marijuana and local judge and jury would send him to the penitentiary [..] but a guy like Seal flies in and out with hundreds of pounds of cocaine and he stays free’ (Leveritt 2017). By the time he moved to Mena, Seal was not working solo. In fact, over sixty people were working for him (Peet 2002). Moreover, he was no longer using only planes to get drugs across countries and states: he owned ‘a Learjet, helicopters, surplus military cargo planes […], two ships with sophisticated navigational and communications equipment […], numerous cars and vans’ (Peet 2002). Moreover, the technologies he used in order to communicate with his collaborators were highly advanced and included ‘ultrahigh-frequency radios with scramblers, pocket-sized encoders for telephones and high-frequency satellite communication devices like those used on Air Force B-52s’ (Peet 2002). However, the devices used in his ships were not less valuable. In fact, he equated the tools used for his navigation to the ones ‘used on nuclear submarines’ (Peet 2002). By 1983 Seal had flown over one-hundred flights carrying tons of cocaine and smuggling into the United States a valour of $3 to $5 billion dollars (Loughrey 2017). He was arrested in Florida the same year whilst he was attempting to smuggle 200,000 phoney Quaaludes pills (i.e. an anxiolytic similar to barbiturates) (Loughrey 2017). Seal admitted the crimes he had committed throughout the years, however, he was charged with ten years in prison, and according to an FBI agent, the criminal not only ‘was desperate to avoid time in jail’, but also offered to name the people involved in the crimes in order to discount his penalty (Loughrey 2017). It was his desperation that led him to Washington where he met George Bush’s Vice-Presidential Drug Task Force, and where he was involved in a sting operation. On June 25, 1984, the CIA placed hidden cameras in Seal’s 123K plane that was directed to Los Brasiles, in Nicaragua: the photos that were taken show ‘some Nicaraguan soldiers’, Barry Seal, Pablo Escobar, Federico Vaughn, Emile Camp (‘Seal’s co-pilot’) placing over one thousand kilos of cocaine onto the plane (Peet 2002). Seal flew back to Florida, handed over the cocaine and the film to the government officials (Peet 2002). Since Seal had decided to collaborate with the USA forces, his sentence in jail was reduced to a ‘six months supervised probation’: however, he was obliged to ‘spend every night, from 6pm to 6am at the Salvation Army house in Baton Rouge’ (Loughrey 2017). On February 19, 1986, Seal was killed by a gunshot, most likely because he had shared too much information and had betrayed the people with whom he was enmeshed in dirty business. One of Seal’s friends recalls the uneventful episode: ‘I saw Barry get killed from the window of the Belmont hotel coffee shop. The killers were both out of the car, one on either side, but I only saw one shoot, cause Barry saw it coming and just put his head down on the steering column’ (Loughrey 2017). Some believe the Madellín Cartel sent Colombian assassins to kill Seal; however, others believe it was the CIA (Loughrey 2017). A movie on Barry Seal’s life was released in 2017. However, the film in not entirely faithful to Seal’s life, and adds many fictional ‘facts’. Despite what the movie American Made (2017) wants its spectators to believe, Seal did not have one wife throughout his life. As a matter of fact, he had three wives (Deborah Dubois, Lynn Ross and Barbara Dodson) and five children. Whilst dealing with the Cartel, Seal never mentioned his real name to them, and rather, people like Pablo Escobar, would know him and refer to him as ‘El Gordo’ (i.e. ‘the fat man’) (Levine 2017). Barry Seal had a ‘flamboyant character’ and ‘even appeared in a TV documentary’ (Levine 2017; citing Jacobsen). On one occasion, Seal welcomed to Mena the TV reporter from Louisiana Jack Camp (Leveritt 2017). Here, he allowed the reporter to ‘film inside the C-123 as he talked about his work with the DEA (Drug Enforcement Administration), while pointing out the places where the CIA technicians had hidden their cameras’ (Levitt 2017). When the cocaine that had been put on Seal’s plane never arrived in Florida (and was instead handed to the CIA as part of the plan), the Madellín Cartel suspected that Seal was playing double game. 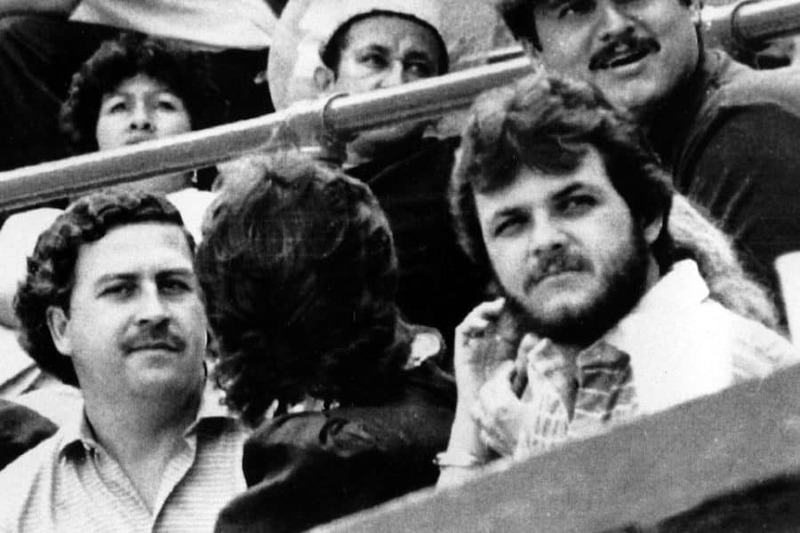 In 1984, their suspicion was confirmed when the Washington Times released an article that discussed Seal’s ‘infiltration in the Madellín Cartel in Panama, proving that ‘the Nicaraguan government was involved in the drug-trade’ (Levine 2017). While collaborating with the US government, Seal transported a total of 6,000 pounds of cocaine from the Colombian Cartel. For each flight, Seal was paid by the cartel around $750,000, and on one occasion, the DEA, allowed the pilot to keep $575,000 (Levitt 2017). The men that killed Seal at the age of 46 had been hired by Ochoa and the Madellín Cartel. The men that murdered seal ‘were sentenced to life without parole’, and were Louis Carlos Quintero-Cruz, Miguel Velez and Bernado Antonio Alvarez (Levine 2017). According to The New York Times (1987), there existed $500,000 contracts for who was able to kill Seal, and a $1,000,000 contract for who was able to ‘catch [him] alive and take [him] to Colombia (Levine 2017).